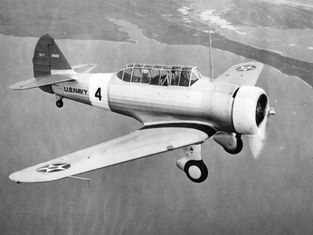 The North American BT-9 was the United States Army Air Corps (USAAC) designation for a low-wing single piston engine monoplane primary trainer aircraft that served before and during World War II. 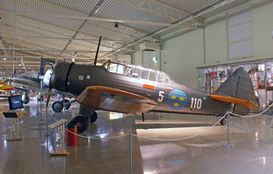 It was a contemporary of the Kaydet biplane trainer and was used by pilots in Basic Flying Training following their completion of Primary in the Kaydet. 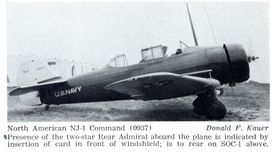 The NJ-1, which was similar to the one off BT-10, was used by the United States Navy. 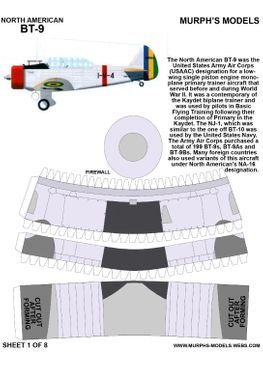 The BT-9, designated NA-19 by the manufacturer, evolved from the North American NA-16, which first flew in April 1935. 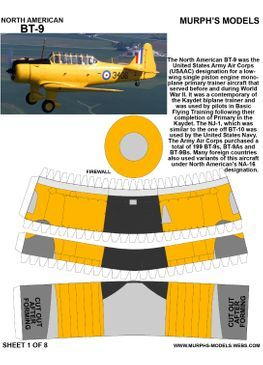 The BT-9 design first flew in April 1936. 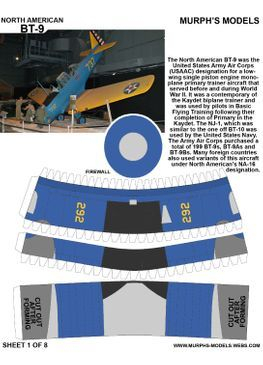 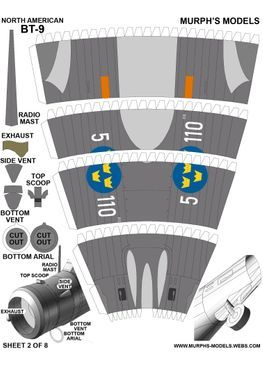 The wing and tail control surfaces were fabric-covered, as well as the sides of the fuselage from just behind the firewall to the tail. 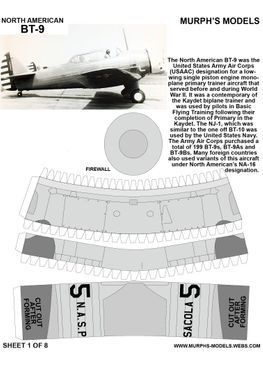 The remainder of the aircraft was metal-covered and featured fixed (non-retractable) landing gear. 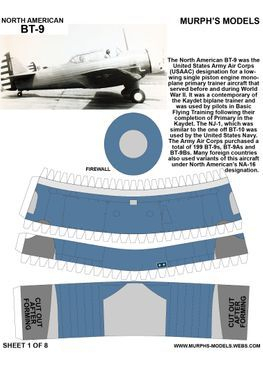 The Army Air Corps purchased a total of 199 BT-9s, BT-9As and BT-9Bs. 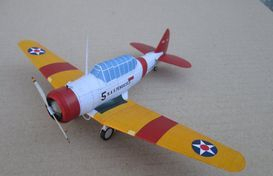 Many foreign countries also used variants of this aircraft under North American's NA-16designation.